Montre Carlo 2019 – Nadal is out, Fognini is the favourite to win in the final. I haven’t written in a long time but I thought that I would do so, casually. I wanted to also write prior to the match up today between Nadal and Fognini. Fabio beat Nadal, fairly comfortably 6-4, 6-2. When I even saw the draw, and the possibility that there would be a match up between the two, I said… “oh boy.. poor Nadal”. Fabio is likely by far the darkest horse for Nadal, the player that he likely makes him feel very uncomfortable. Overall, I am a big Fabio fan. He is an extremely casual player and can turn on the Fabio switch, being down 6-0, 5-0, 0-40 and still win the match. He is the only, I repeat only, player in history to beat Nadal being down 2 sets to love, at a grand slam, night session, being the underdog. I was also a little shock about Medvedev losing to Lajovic, he was my heavy favourite for that match-up, but all credit to Dusan. For tomorrow’s final, between Fabio and Dusan, I think that Fabio will take care of business. He is in his first masters 1000 final. He also lives about 30 minutes away from the club and he says it almost feels like home to him. Posted byMr Alexander April 21, 2019 Posted inMasters 1000, TennisLeave a comment on Montre Carlo 2019 – Nadal is out, Fognini is the favourite to win in the final. 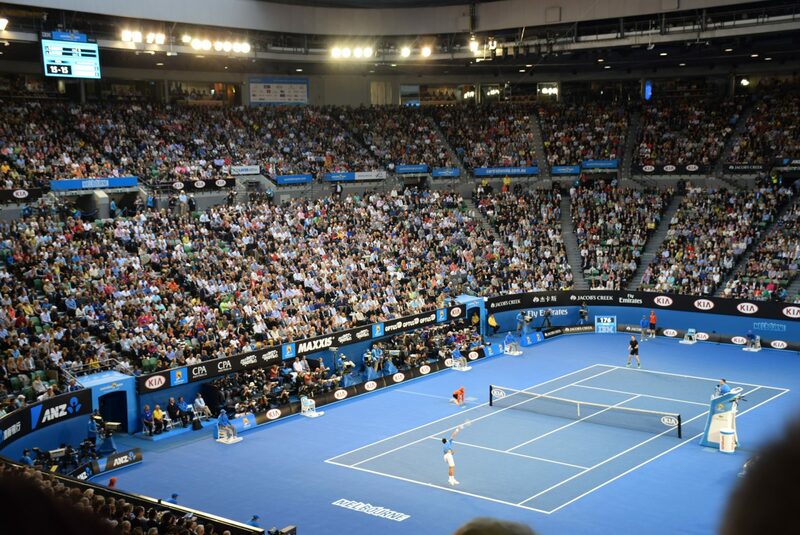 Australian Open 2019 – The first grand slam of the year. The first grand slam of the year is days away from taking place and I absolutely love the Australian Open (AO), could be my favourite grand slam out of the 4. I am a huge tennis fanatic and I am so excited for the beginning of the Australian Open 2019. I also just heard the news that Andy Murray has announced his retirement at Wimbledon but he may not be able to compete there and AO could be his last tournament. This year, I don’t think that neither 1 of the big 4, Roger Federer, Rafael Nadal, Novak Djokovic and Andy Murray, will win it. It is time for the #NextGen to step it up. It will be a very hard challenge but its time. I have been following some of the qualifying matches and it is unfortunate that Dustin Brown (GER) lost in his 3rd and last round of qualifying. Peter Polansky (CAN) also lost to Thanassi Kokkinakis (AUS). This is just a brief note about AO 2019, I will likely post few more in the upcoming 2 weeks of the tournament. There are several tough first round matches. Posted byMr Alexander January 11, 2019 January 11, 2019 Posted inAustralian Open, Grand Slam, Random, TennisTags: TennisLeave a comment on Australian Open 2019 – The first grand slam of the year. Hello and welcome to my personal blog. I go by the name of Mr Alexander. On this website you will find a variety of topics being discussed, from my personal experiences as a senior web developer, a marketer, product reviews, personal stories and just about anything that is on my mind. I have been thinking about starting this blog, aka “journey”, for quite some time now and finally it is happening, Friday night 23:48pm.. my usual office time. I look forward to sharing insights and stories with you! Posted byMr Alexander December 14, 2018 December 14, 2018 Posted inRandomLeave a comment on Hello world! Mr Alexander, Proudly powered by WordPress.